This specialist spy phone software has been designed for Android phones. 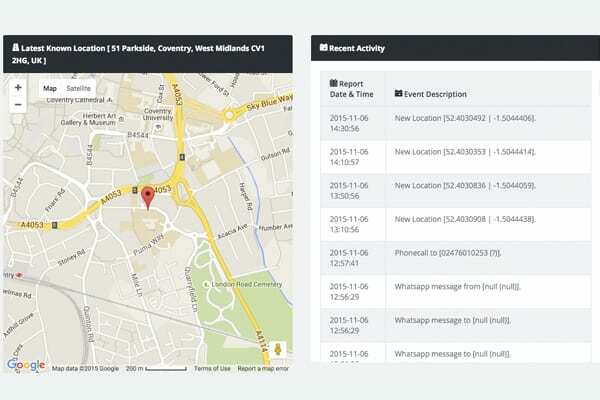 Once installed it can monitor a wider range of phone user activity than any other spy phone software available. Chosen by customers who do not want to leave anything to chance. Now with keyboard input logging! This product cannot be purchased using Paypal due to their restriction on computer/phone surveillance products. Other payment methods available. 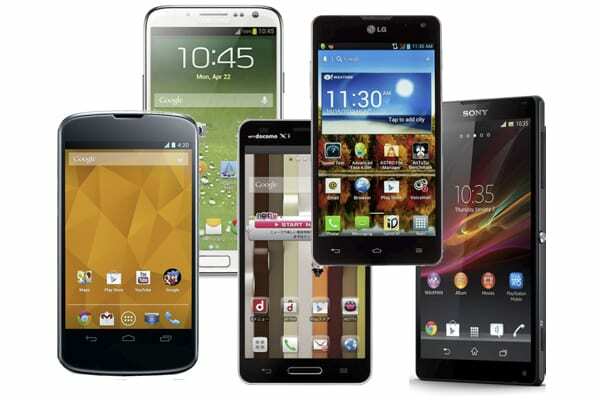 The Android operating system currently holds a 75% share of the Smartphone market. Because it is so widely used, making a spy phone software to monitor Smartphones using the Android platform was an obvious choice. Our Android Ultra Spy Phone Software quite simply is, without question, the most advanced available (NOT suitable for iPhones). After installation on the handset, the phones standard functionality remains totally unaffected by the spy software programme. It runs unsighted and works away in the background, sending out an incredible array of information to a secure web-based monitoring panel. The Ultra Android spy phone software is an ideal solution for keeping an eye your children or an elderly relative for their protection and safety. Employers may have a need to monitor employees suspected of using their company phone for illegal or inappropriate activity. After purchasing the Android spy software package, the customer will receive instructions and a download link to their email address within 24 hours (except weekends and Bank Holidays). The download link is then inputted into the browser for the Android phone and the software can be downloaded and installed in minutes, after which a unique ID code is shown on the screen of the phone. This information has to be noted and subsequently emailed to Spy Equipment UK and then the software licence can be authorised. After the licence has been confirmed, the customer will have unlimited access to their secure login to the panel 24 hours per day for the licence period. The software is designed to monitor one Android phone handset. A purchase of this software entitles you to monitor unlimited data on the installed handset for a period of 3, 6 or 12 months from the installation date, dependant upon your chosen period. If you wish to continue using the software after the initial 3, 6 or 12 month period, then this will require an additional licence purchase. It is, of course, possible to extend the licence for a longer period than your initial purchase option, so for example, if you originally chose a 3-month licence and wanted to extend this for a further 6 or 12 months, then it is simply a matter of paying for the upgrade. The Ultra software has the most comprehensive range of monitoring features available. Most functions automatically report back captured data and information to the Web monitoring panel and each customer is provided with their own specific secure login to access their gathered information. Get recorded phone calls made or received by the monitored phone, get copies of SMS messages (including text content), log all touch-screen keyboard input, Internet browsing history (native phone browser), Pictures (Captures, screenshots, IM pictures), get GPS locations of where the phone is every 20 minutes, see a list of application on the phone, view contacts as they are updated. The web panel also shows the WiFi, mobile data connection, Bluetooth and battery charge. There are certain commands that can be made from the Web panel which include: Capture a video using the phones cameras (20 seconds), take a photo (front and rear camera) or make a recording using the phones microphone for between 1 and 30 minutes, enable/disable data, enable/disable location, force location update, and remotely uninstall the spy software, wipe or hard reset the handset. The very same remote control commands cannot only be controlled by the web-panel, but also by sending specially coded text messages. Added to the list of coded SMS commands is the ability to enable/disable the WiFi connection on the spy phone. The SMS commands do require an actual text message to be sent to the spy phone, although a series of spaces in the message instructs the Ultra software to control the requested feature. If all the above is not enough, then in addition to the regular phone operating system functionality the Ultra Spy Software also offers access to the latest messaging/communication apps. To enable this feature the phone MUST be rooted prior to installation, however as long as this has been done, then the software can capture FULL WhatsApp, Facebook Messenger, Skype and Viber text conversations and images. This information is fed through to the Web panel in real-time. On top of this (for a rooted phone) Gmail, Outlook and Yahoo emails can also be captured. This will only work for the main email account for each type, also the actual email itself will only be available and no attachments can be captured. Although the phone being monitored may not always have Internet access, this will not mean that the software cannot catalogue the phone activity. The software will still store it covertly on the phones internal memory and then, when next connected to the Internet, upload this data to the Web panel. After the captured information has been shared with the panel it will be automatically deleted from the phone memory storage. The spy software application is totally hidden. It does not appear as an icon on the phone screen, in the systems apps or as a running app, so it really is invisible. In addition to its invisibility, it is almost impossible to wipe the software from the phone even if the phone user undertakes a security wipe! You should be in no doubt that this has to be the ultimate spy phone software available. No other spy phone app is so discrete, so swift to install and has so many features. The Web monitoring panel really is well laid and simple to use with information catalogued in such an intuitive way that even a new user will be able to find their way around in a matter of minutes. Information on the panel can be very easily downloaded in commonly used formats, with no additional software is required. Ready to install on a wide range of Android phones such as Samsung Galaxy series, HTC One series, Sony Xperia series, LG series, Nexus series, Motorola and many more! PLEASE NOTE: If you choose not to root the monitored phone handset prior to installation then ONLY the following features will NOT work: WhatsApp, Facebook Messenger, Viber, Skype, Gmail, Yahoo and Outlook. Can I use this spy software on my phone to monitor any other phone that I want? No, the Ultra Spy Phone Software itself is the one that is being monitored and feeds its activity information out discreetly. Can any SIM card be used in the phone being monitored? The phone being monitored does not need a SIM for the software to function, only an Internet connection to feed the data out to the web panel. Changing the SIM in the phone is not a problem. Is the spy software installation on the phone obvious? Does the phone give any indication to the user that there is spy software on it? The software is designed to run discreetly in the background. There are no indications whatsoever to the phone user. No-one will ever know. How is the phone activity monitored? Can the spy software features be switched on an off remotely? Some features of the software can be remotely switched on and off using either remote commands on the panel or by special SMS commands. What would happen if somebody did a security wipe on the spy phone? The software would remain on the phone. Normal spy software would be eradicated by this process, but our software is so advanced that this will not happen. Won’t there be evidence on the monitored phone’s bill? The software uses the data connection to communicate information out. A complete data breakdown is never evident on a bill, so the user will only see that they have used a certain amount of data that is within their monthly allocation. When a WiFi connection is used to send out data, then this will never figure in any way on the bill. The SIM card that is used in the Spy Phone MUST have a data connection (mobile data or WiFi) so that monitored information can be sent out to the web panel address. It is the responsibility of the purchaser to ensure that they use this product responsibly and within the laws of the country that the product is being used.